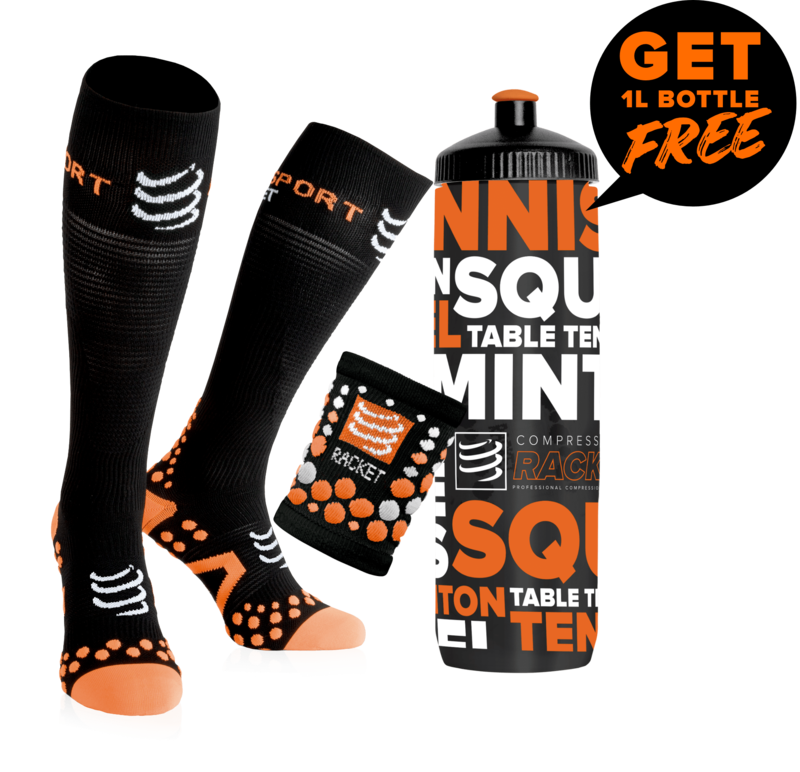 The Compressport Racket Strapping double layer compression socks provide an optimal protection and a unique comfort with their different technologies. The Compressport Racket Strapping double layer socks protect your feet and especially the ankle thanks to its double layer. This double layer design also reduces frictions, irritations, overheating and blisters. 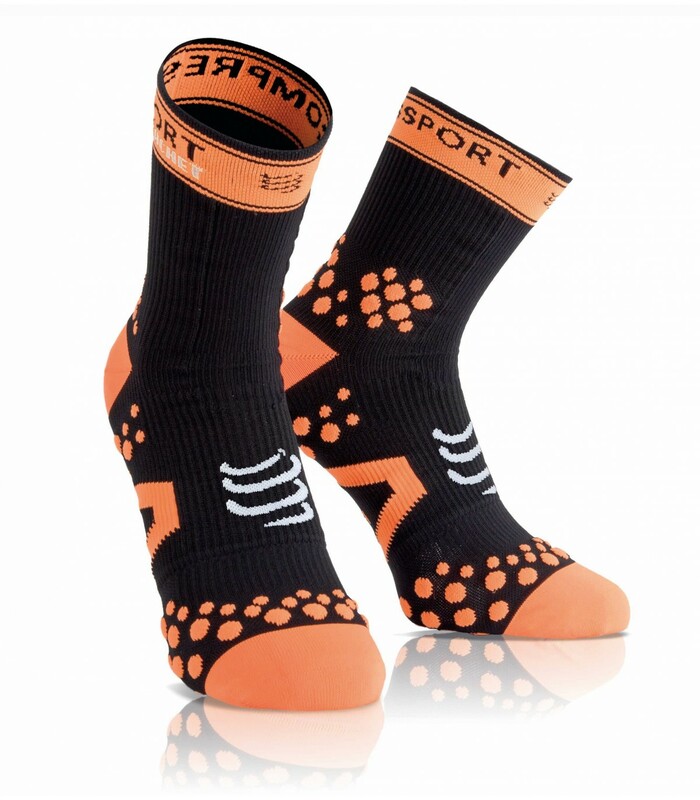 With the 3d dot grip technology, the Compressport Racket Strapping double layer compression socks provide both a good foot support in the shoe and a good breathability and aeration of your feet. 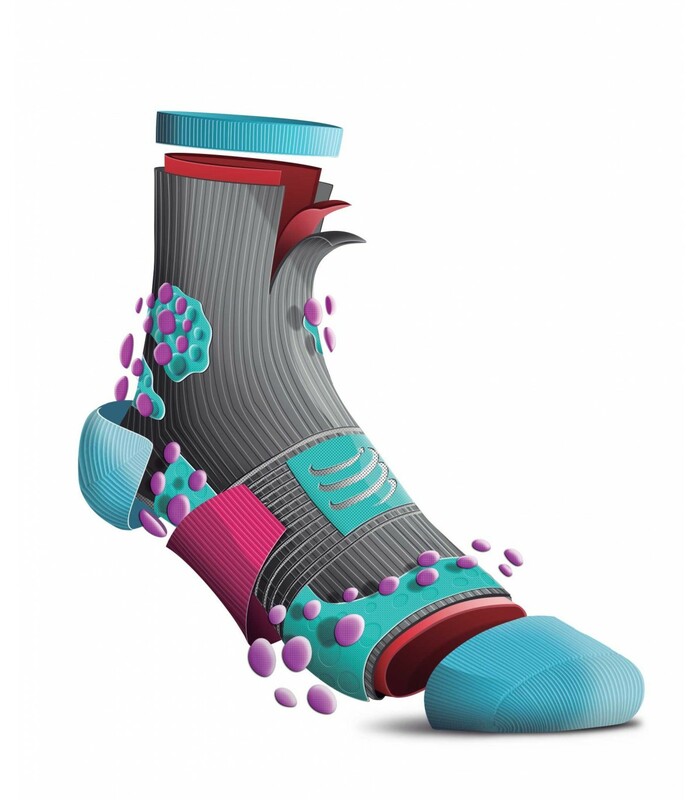 These compression socks allow the feet to breathe better, avoiding overheating. 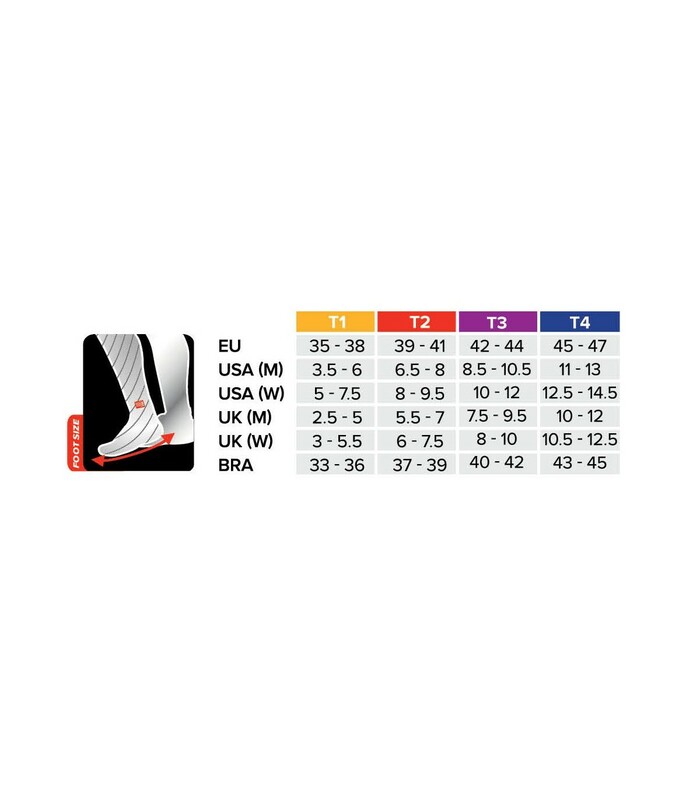 Thanks to the numerous technologies of these compression socks, such as the Ergo Fit technology, e Arch Stim, and its design specially thought to protect the achilles tendon and the malleolus, your foot is very well maintained, the blood circulation is stimulated, the air circulates better, and all this allow the feet to completely and quickly evacuate perspiration and stay dry. The Compressport Racket Strapping double layer compression socks make the difference on the squash court.